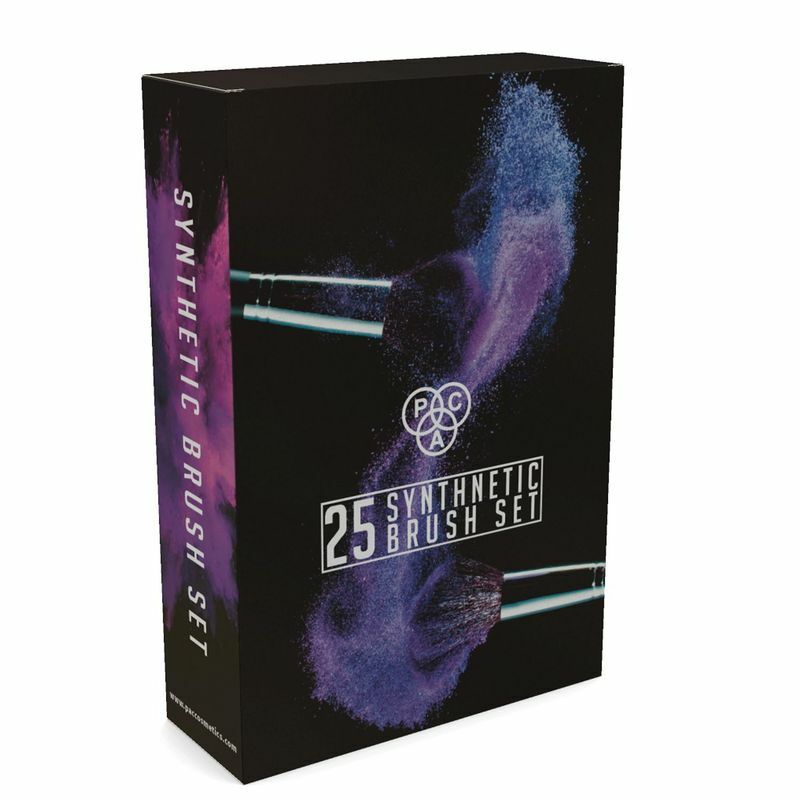 PAC Synthetic Brush Set 25 pieces is crafted for professional uses. It comprises of 25 utility brushes which are ideal for blending, application, buffing, contouring and highlighting. These brushes come with a handy brush pouch to keep your brushes organised. Create your looks with this versatile 25 piece synthetic brush set.PAC's each makeup brush is made with fine synthetic fibers that give perfect finish in each stroke. These brushes can be used with powder, cream or liquid products. The ergonomic handle eases the application and make the foundation look flawless. A must-have set which won't disappoint you at any step of makeup application. Includes 25 face/eye makeup essential brushes. Synthetic fibres are ideal for adding defination. The bristles help in creating a flawless texture.